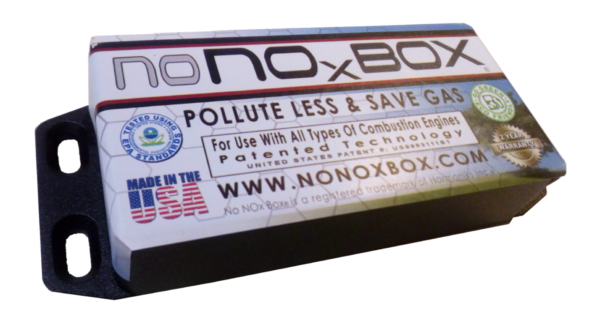 The No NOx Box® subtly tunes the electromagnetic energy emitted from the engine to help burn fuel cleaner and run more efficient.The average reported reduction in NOx (Nitrous Oxides) is 50% with a fuel savings of 7% when using the No NOx Box®! The No NOx Box® requires no external power, wires, or special tools for installation. 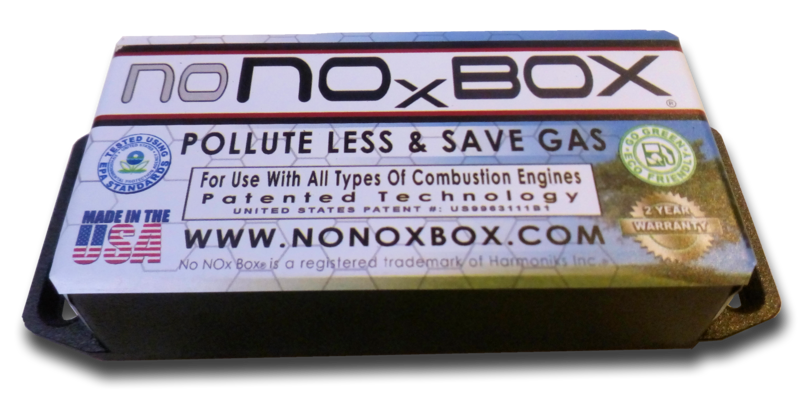 Simply secure the device with 3 feet (1 meter) of the fuel or engine, and the No NOx Box® subtly tunes the electromagnetic energy emitted from the engine using Harmoniks Inc.’s patented Combustion Engine Electromagnetic Energy Disruptor (C.E.E.E.D™) to help burn fuel cleaner and run more efficient. The average reported reduction in NOx (Nitrogen Oxides) is 50% with a fuel savings of 7% when using the No NOx Box®! Save Money On Fuel Costs!